In typical Apple fashion, company CEO Tim Cook took to the stage at the Bill Graham Civic Auditorium in San Francisco today to deliver his 2015 keynote before the unveiling of new products. Here’s a look at everything the tech giant announced and what you can expect in the coming months. What’s coming: Despite the fact that the Apple Watch debuted just a few months ago, Apple has already announced a refresh. Today, Cook, along with Apple Senior Vice President of Operations Jeff Williams, debuted two-fold updates to the company’s smartwatch. The operating system got a revamp. With watchOS 2, Apple Watch wearers will have access to new watch faces, more apps (Facebook Messenger, GoPro and more) and Time Travel, a feature that allows users to turn the watch’s Digital Crown to look back or ahead at news, weather, calendar events, schedules and more. In addition to a new look on the inside, the watch is getting a new look on the outside. Apple announced two new finishes for the watch face: gold and rose gold anodized aluminum. A new selection of bands is rolling out (yes, pale pink is coming), allowing wearers to mix and match styles and colors. 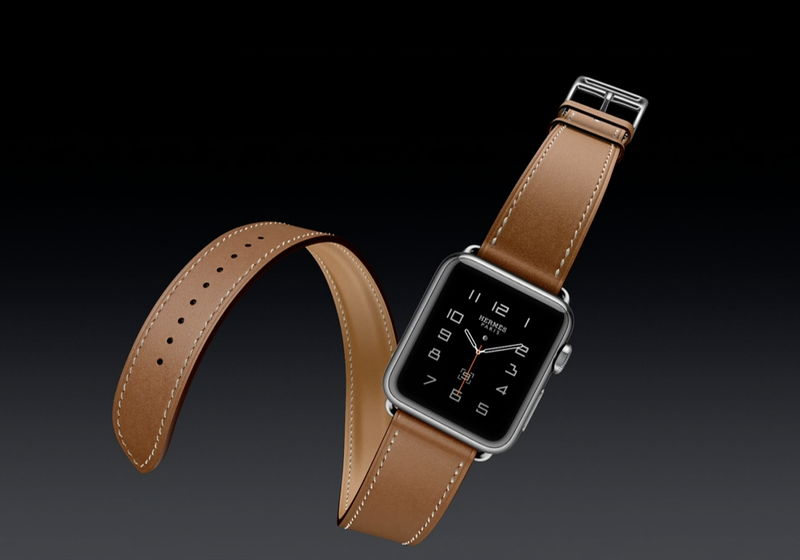 And Apple has teamed up with luxury watch creator Hermes for a special collaborative leather watchband. 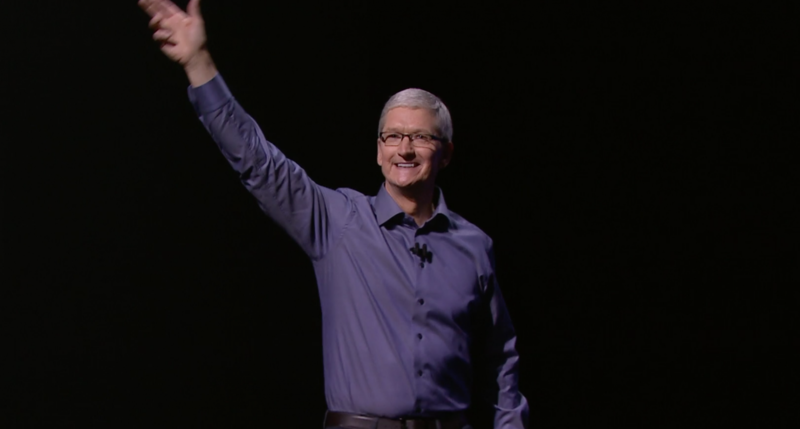 When you can get it: The updated bands are shipping today (Sept. 9), and watchOS 2 will launch Sept. 16. Apple Watch Hermes will be available in select stores in October. Is the Apple Watch right for you? Compare the Apple Watch Sport and the Fitbit Surge. What’s coming: Move over iPad Mini and iPad Air. There’s a new iPad on the block: the iPad Pro. The iPad Pro is Apple’s most powerful tablet yet. It has a 12.9-inch screen (76% more screen area than the current model), 5.6 million pixels and a four-speaker audio system. The device is just 6.9mm thick and weighs 1.57 pounds. It will be sold in silver, gold and space grey finishes. 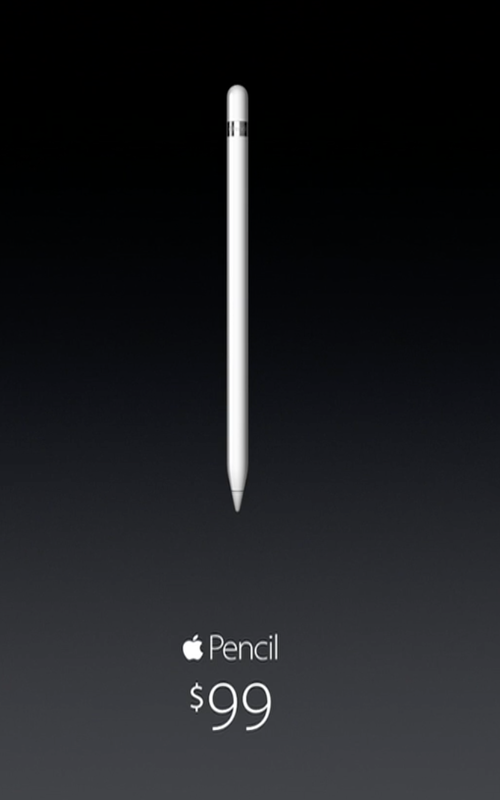 And for a new level of precision with the iPad Pro, there’s the Apple Pencil. It will allow users to draw, write and create on their tablet’s screen with more accuracy than their fingers. The rechargeable stylus can be plugged directly into the iPad after hours of use. The 32GB version of the iPad Pro starts at $799. The Apple Pencil will cost $99, and the Smart Keyboard — a compatible keyboard accessory — will be $169. When you can get it: The iPad Pro, Apple Pencil and Smart Keyboard will be available beginning in November. If you’re interested in a smaller iPad, Apple will also be launching the iPad Mini 4 — which has the same internals as the iPad Air 2 — for $399. What’s coming: As rumors predicted, and as techies hoped for, Apple TV finally got an update this year, too. The new and improved Apple TV is based on the theory that the future of television is apps. The set-top box gives users access to movies, TV shows, the App Store, Apple Music, weather, news and more. Apps include HBO and Netflix as well as games, like Guitar Hero, fitness apps and even ones geared toward shopping. Plus, combining both touch and voice, the new Apple TV remote (which operates via Bluetooth 4.0) features a glass touch surface — for easy scrolling and swiping — as well as Siri functionality. That means you can ask Siri to find your favorite shows, movies and even specific episodes for you. So when you’re feeling like an action flick, just ask. “Hey Siri, show me everything with Liam Neeson in it.” You’ll instantly be taken to a screen full of the “Taken” series and more. The 32GB Apple TV costs $149, and the 64GB model will cost you $199. 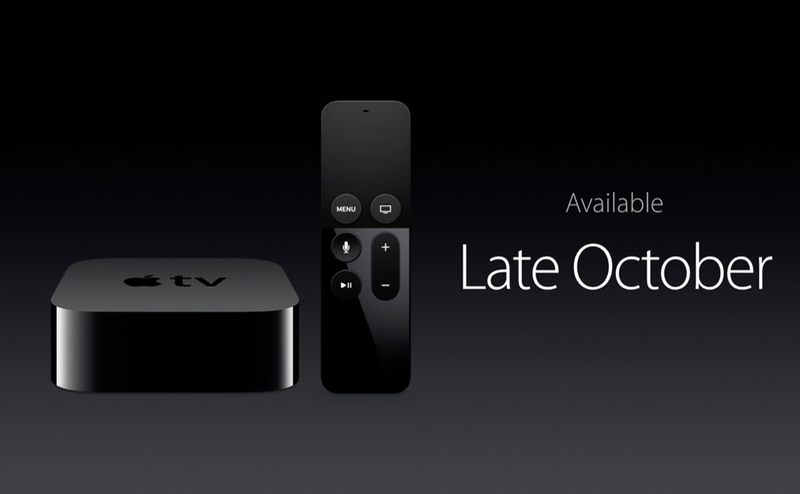 When you can get it: The new Apple TV will hit stores in late October. What’s coming: The iPhone 6S and 6S Plus are the latest phones to join the lineup. They both feature 3D Touch technology, which recognizes pressure-oriented touch. Use a light or strong touch to access different modes and views of your messages, email and even your favorite apps. Also new and noteworthy to these phones is the new 12-megapixel iSight Camera, designed to deliver even clearer and more vivid pictures. The camera can capture HD and 4K videos, and the Live Photo functionality turns a still photo into a moving video. The phones will be sold in the following finishes: silver, gold, space grey and a new rose gold. There will be new leather and silicone cases available to fit the phones, too. The iPhone 6S 16GB starts out at $199, and the iPhone 6S Plus 16GB starts at $299. The prices of the iPhone 6 and iPhone 6 Plus have dropped to $99 and $199, respectively. 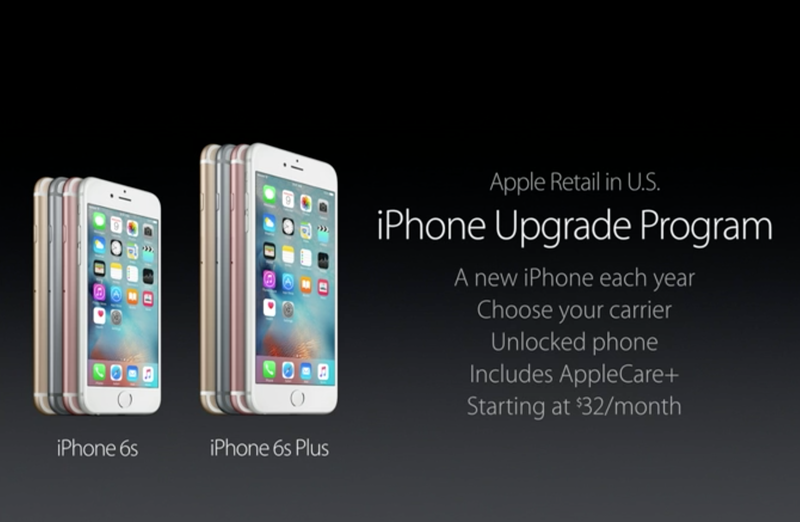 Apple also announced an iPhone upgrade program in the U.S., which would allow people to get a new iPhone every year. When you can get it: Preorders for these phones begin Sept. 12. They will be available on Sept. 25. So what do all of these announcements mean for you as a consumer? Now that new Apple products are on the horizon, you can bet that retailers will drop prices on last year’s models. Use this opportunity to score yourself an old generation iPad or iPhone for considerably less.